Gov. Mitch Daniels (R-IN) was even bolder—and more comprehensive—in a thoughtful speech to CPAC ( the Conservative Political Action Conference) in Washington. He told the right wing audience that his own party hasn’t tackled the problem, dealing instead with trifles: “Talking much more about [earmarks], or ‘waste, fraud, and abuse,’ trivializes what needs to be done and misleads our fellow citizens to believe that easy answers are available.” Instead Daniels proposed cutting defense, and radically changing Social Security and Medicare, maintaining them for current and soon-to-be recipients but designing completely new plans for the people who come later. 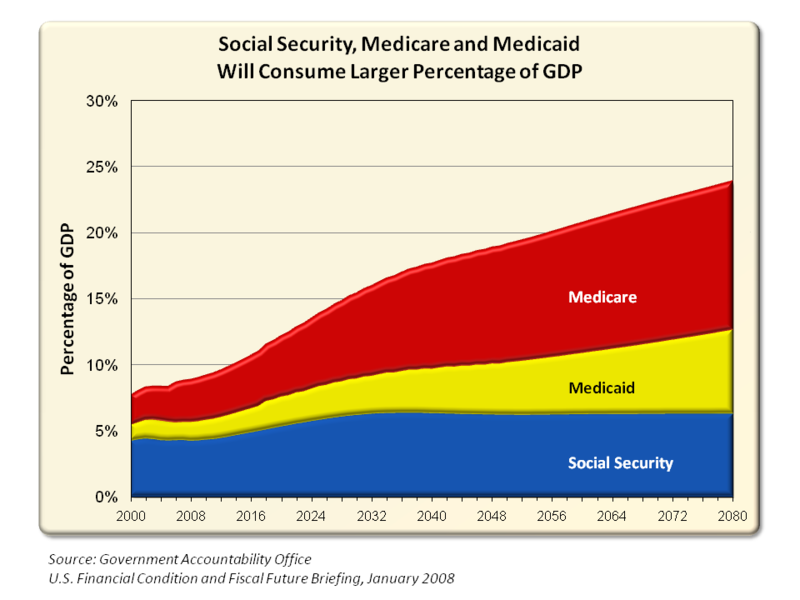 And today Rep. Paul Ryan (R-WI), chairman of the pivotal House Budget Committee, told Politico that American prosperity depends on comprehensive reform of federal entitlements, including Medicare and Medicaid. Could this mark the beginning of serious work, rather than cheap grandstanding, on the long-term financial clouds over America’s future? Let’s see what happens to these three who dared to speak truth. Will it cost them their job, like Sam Goldwyn’s truth-telling underling? Stay tuned. This entry was posted on February 17, 2011 at 5:28 pm and is filed under Ethics-general, Finance, Government, Health care, Politics. You can follow any responses to this entry through the RSS 2.0 feed. You can leave a response, or trackback from your own site.